Business owners continue to overlook Microsoft Excel because of several reasons. One reason in particular is that they feel the software is “too expensive to implement”. Other reasons range from “it’s too basic” or even “too technical” to learn. If you’re the latter and you don’t have a lot of technical experience when it comes to using computer software, it’s still a piece of software worth implementing and learning. Getting to know Excel isn’t at all that hard and, with a bit of effort from your end, you could quite easily master the popular spreadsheet software. So, where can you learn Excel and what benefits will it provide to your business? There are plenty of online resources when it comes to Microsoft Excel training, but your best chance of mastering such software is by taking a professional online course. What course you should take will depend on your level of experience with such software. You can see the break downs of different Excel courses and their benefits on course search portals like findcourses.com. This particular website has thousands of courses when it comes to learning anything technical, and many business owners/individuals have had great success from learning from such websites. How much your business takes advantage of Excel will determine how useful it can be – but the sky is the limit. Many business owners overlook Excel because of the costs to implement such software. However, what it does bring to the table is improved efficiency throughout any business, and the chance to get your employees doing more with their time. One huge benefit of Excel is that it does have an online version, which means you and your employees can access the data needed from whatever device and location that has internet access. One of the biggest benefits of Microsoft Excel is that it gives you access to all the data you and your employees require, improving efficiency and organization all the time. Once you do master Microsoft Excel, you’ll see that the software is more than just a basic spreadsheet that lets you input data. 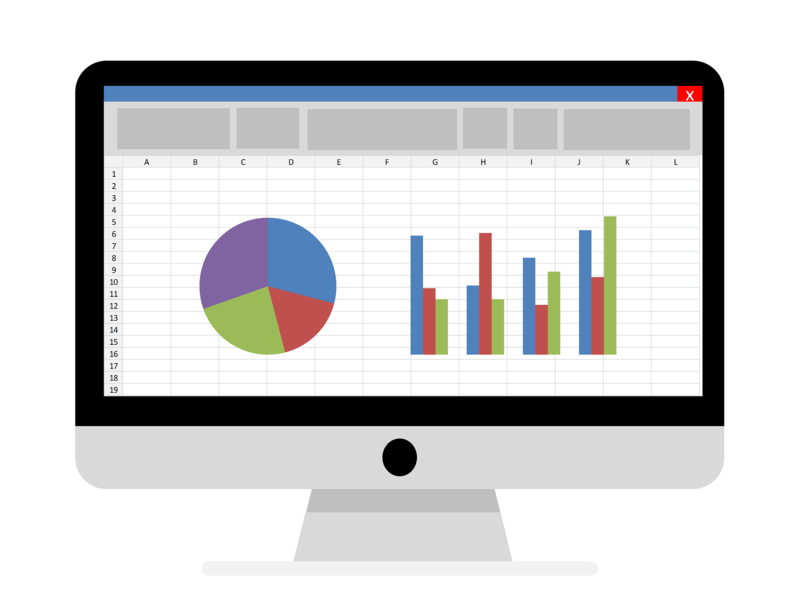 Improving organization is exactly what Excel is all about and, by implementing the software, it could change how your business operates for the better. Excel isn’t going to win any awards for being the most beautiful software visually, as it wasn’t built for that purpose. However, aside from all the basic tabs, sheets, and cells, you’ll still have the opportunity to create beautiful graphs and charts that are appealing to the eye. They make things a lot easier to work with and, giving your employees access to such charts will almost certainly help them get on with their job quicker, whatever that may entail. Microsoft Excel comes at a cost for business licensing purposes, but what you get in terms of increased efficiency, an easy to learn software, and a cost-effective solution is well worth the investment. You could go out and spend thousands on accounting software and the like, but you’re going to get a piece of software that can do it all with Excel. So, while Excel may take time to learn, you’re going to have an easy job learning it, and you’re going to get software that could change your business operations for the better. A lot of the bigger businesses invest thousands in software that helps them track customer data easily. However, if you’re a small to medium sized business, Excel can help you do that for a fraction of the cost. Excel lets you create multiple sheets within the same file, and by using various formulas (which you can easily learn by taking an online course), you can make each sheet/tab work simultaneously so you can keep customer data organized. This particular feature puts your formulas to work in the background, so you can easily have access to all the important data that you need on the first tab. You don’t just have to solely use Excel as your software to run your business; it’s also very easy to implement with other products. You could have accounting software that helps you invoice and keep track of your finances, but that software could also send you reports in XML format which can easily be opened in Excel for you to view in chart form. It can work with most online software, too, which means downloading emails and keeping track of customer data is made easy. In conclusion, Microsoft Excel doesn’t take a lot of time or money to implement into any business and, what’s better is, it’s not going to take much time and effort for you and your employees to master. If you’re interested in increased efficiency, an easy to learn program, and the chance to propel your business to the top, Microsoft Excel is certainly a piece of software worth its weight in gold.